Turkey and US are not happy with the involvement of Iran-backed Shi’ite militias as they have announced to join the battle last week Friday. On Saturday an assault was launched on the village of Tal Afar. 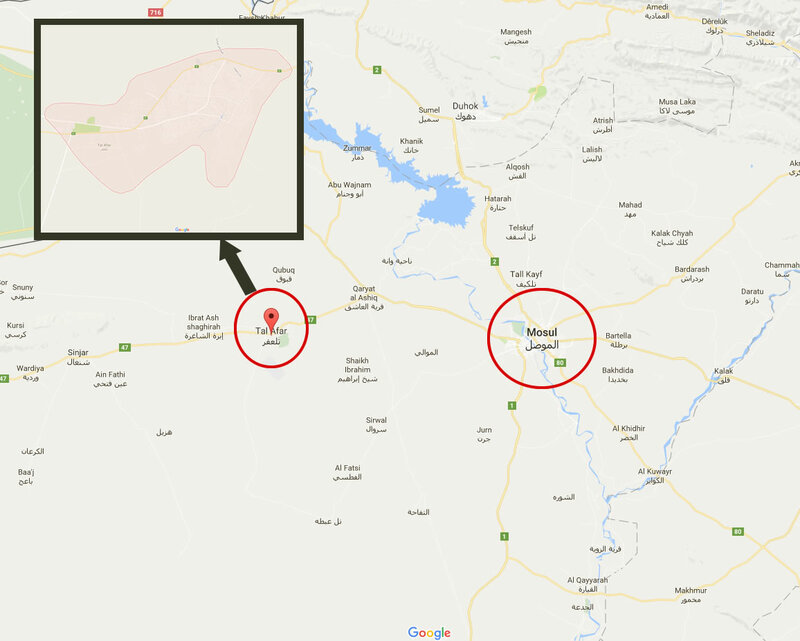 This town, 63 km west of Mosul in the Nineveh province, had in the past a mix of both Shi’ite and Sunnis inhabitants. Now it is mostly inhabited with ethnic Turkmen. This involvement of Iranian backed Shi’ite militias has created a new point of tension. Before the fight over Mosul began, Turkey has expressed it wants a role in the liberation of Mosul as to protect its minority of ethnic Turkmen. Bagdad has repeatedly stated it did not wish any involvement from Turkey in this fight. A Turkish influence in Mosul after the war may grow to new tensions on how parties will deal with the population but also with the position of Mosul. This new development poses tension for Turkey, its US allies and Iraq as influence from Iran is not on either’s agenda. The Shi’ite militias have been known for their terror and atrocities against Sunnis and the fear is this might be the spark for an very different reaction of Turkey on the matter. This very issue might even draw Iran and Turkey into a war if Turkey react by military force on the Shi’ite militias. Another question to this matter is what this development may mean to NATO? Will it be moved by the attack of the militias on the Turkmens in Tal Afar backing up its member Turkey or will they technically remain at the sideline as Tal Afar officially is part of Iraq. Will Turkey insist on its membership to draw NATO into this matter? How will Iran react on this and will it draw its allies into the battle? We can only hope for Tal Afar to be liberated and for the parties to keep matters in hand. Otherwise this development may even spark a new war out of Syria into Iraq with the involvement of every party backed by its allies. A Breakaway in Bath – Yes Please!